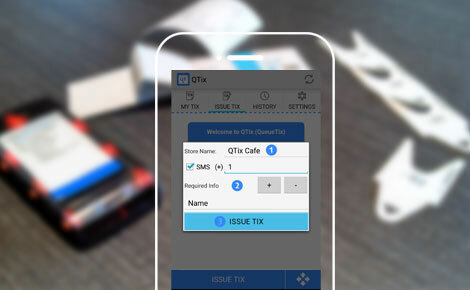 QTix (QueueTix)™ is a smart queue management app with booking system, save time and money by replacing the expensive and ineffective pagers, call-back and juggling papers to manage waitlist, line and booking. The system helps businesses to manage queues and bookings efficiently and effectively which frees you up to focus on serving the customers and maximise turnover. Also, QTix™ saves you time by giving freedom to run other errands while waiting and notify you when ready to be served. 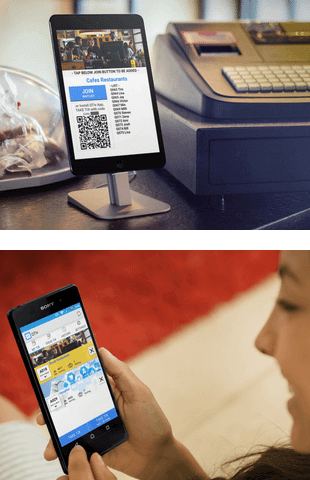 QueueTix™ can be used across various industries such as cafés, restaurants, retail, hospitals, banks, theme parks and many others. Download QTix app for FREE to manage or join a waitlist and booking instantly while save time and money. 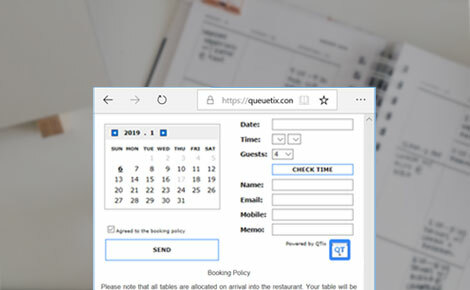 QTix (QueueTix) provides effective waitlist, booking and queue management system to make your customers happier and run business smoother. 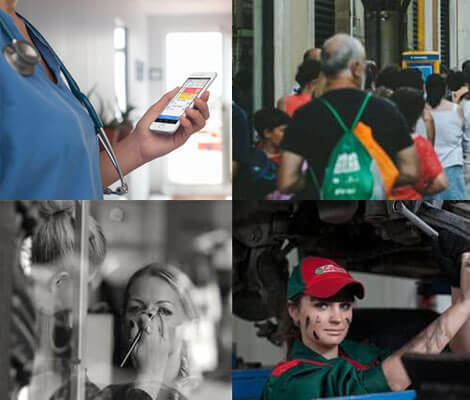 It will reduce walkaways, complaints and no-shows which helps to maximise turnover and dramatically improve productivity and customer experience. Experience full benefits in just a few steps with QTix (QueueTix) system on your mobile phone or tablet. Only takes a few seconds to set up a queue or waitlist under ISSUE TIX tab. Tap store name to see the waitlist to add customers or send a custom SMS notification. Alternatively, press to display the full screen instruction for the customers to join. Using QTix app to join the queue is easy as 1-2-3 with just a few taps. Voila! Now, you will be able to check your live progress in the queue while do shopping, have a wander or do other things you like. Streamline your operation with QTix online booking management system. Seamlessly incorporating online booking into your website / other online form and make business operation easier than ever before. "I absolutely love QTix (QueueTix) app. It is an all in one queue management app with booking system and has full functions that I will ever need to manage waitlist and booking. No glitches, No hassles, Easy to use. Also, the best support team I have yet to encounter, can't praise them enough!" "Big thanks for a great queue management app! 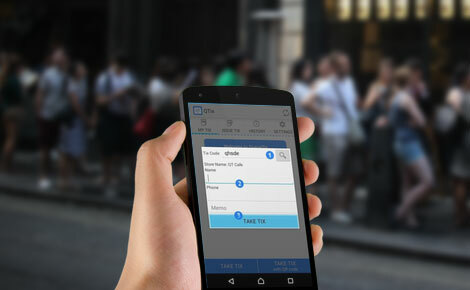 QTix (QueueTix) is very helpful for managing people in line and booking especially when we are busy. The software is very intuitive, powerful system and packed with all the right options. Our customers seem to enjoy using the app as well!" Grab your mobile phone or tablet, download QTix app for free to join a queue instantly and save time. For businesses, it takes less than a minute to set up and takes only seconds to manage the queue, waitlist or booking. Feel free to contact us to arrange a demo, trial and set-up of QTix app for your business. We provide the technology, advice and ongoing support you'll ever needed. Whatever your business or industry, we can help!